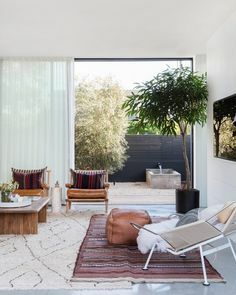 Published on June 27, 2016 in Casa Covet Living and Covet Living Interiors. 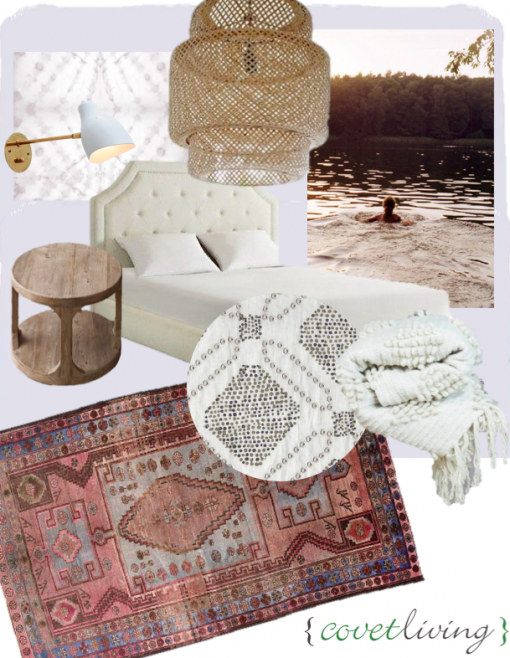 8 Comments Tags: aja rugs, boho, boho chic, covet living interiors, dunn edwards icy lavender, emily henderson, estrato throw, gramercy in metropolitan grey, guest room, headboards on the cheap, ikea, isle crawford, michelle mathis, nicky rising, parkside button tufted bed, seema krish, Spoonflower, target, the citizenry. 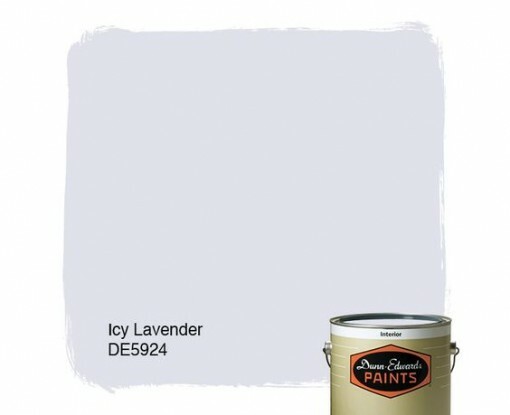 a) Paint Color: Dunn Edwards, Icy Lavender DE5924. This came out slightly more pigmented / more purple than we wanted, so we decided to tone the rest of the room down with a lot of neutral layers. 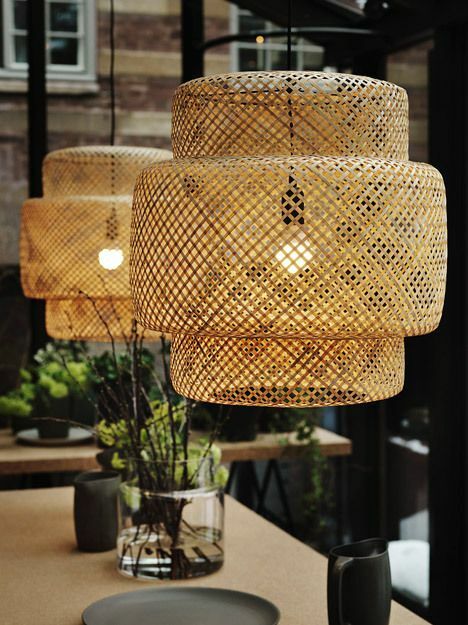 b) Bamboo Pendant Light: Sinnerlig, Isle Crawford for Ikea. THIS IS UNDER $60 PEOPLE!!! And freaking fabulous in person. I carried it on my head like it was a 200 lb fruit basket through the sea that is Ikea a month ago when I saw it, having no idea where it would go. If I were you, I might buy 2 and hang ’em over my dining room table. Like – go now. 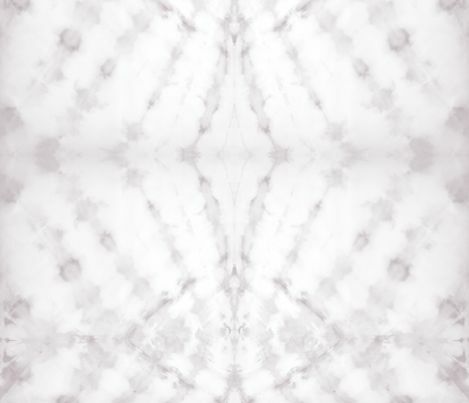 c) Drapery Panel Fabric: Shibori Angle Grey by Michelle Mathis. This chick has a TON of great patterns you should check out. Think Amber Interiors / global style, but for closer to $20/yard. 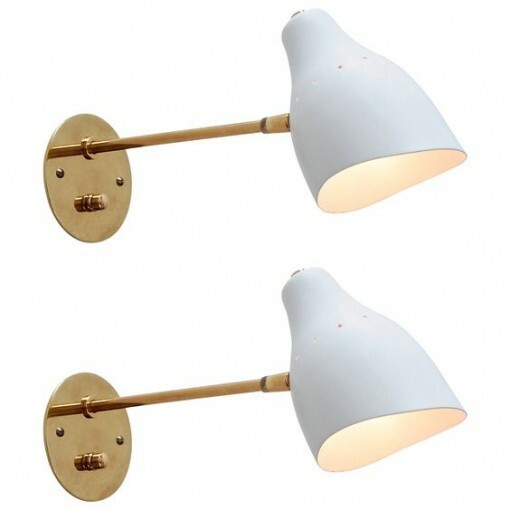 d) Wall Sconces: Midcentury, Lumfardo Luread “F” Sconces, 1st Dibs. These are amazing, but too $$. But will source lookalikes on Etsy… or just wait to snap these up on eBay. e) Artwork: source unknown. But every time I look at this, I get transported to a peaceful place. On a remote lake somewhere. 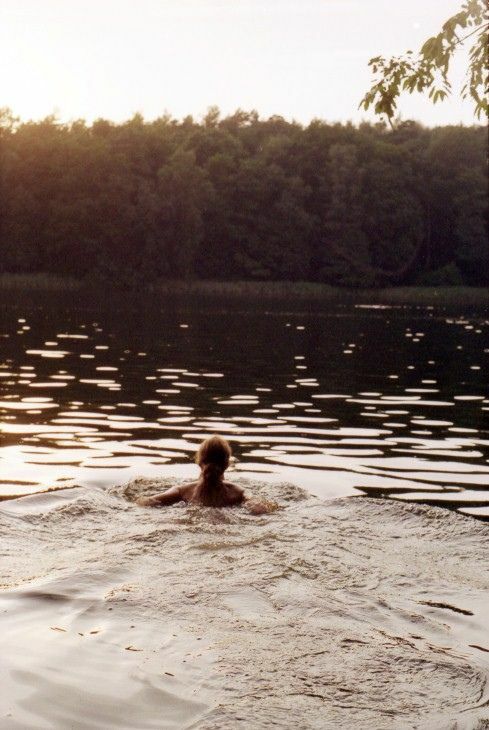 In the summertime. At dusk. Where else would anyone ever wanna be? 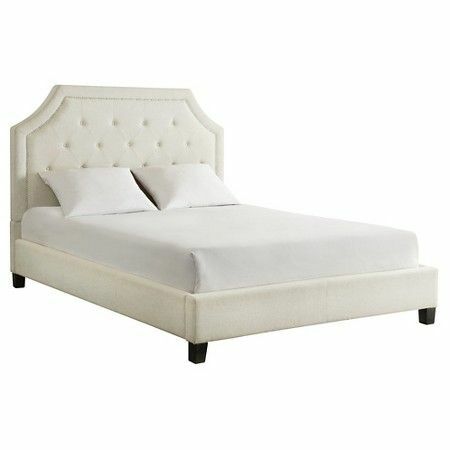 f) Upholstered Bed: Target Parkside Button Tufted Bed. Frankly, I have no idea if Target’s beds are gonna sh*t the bed or not in terms of quality, but I figure if Emily Henderson can do it, we can give it a whirl. They have SURPRISINGLY bomb silhouettes… post on that later. 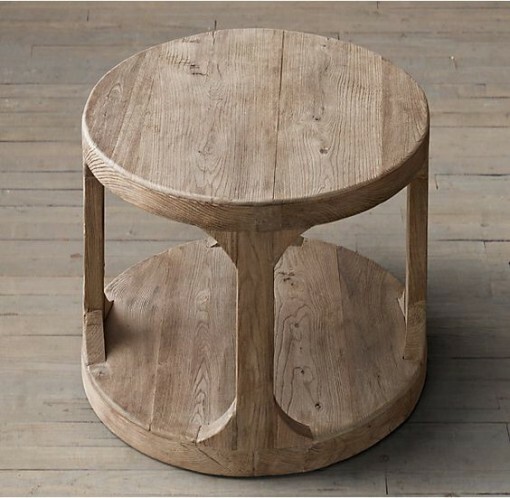 g) Nightstands: Restoration Hardware Martens Round Side Tables. 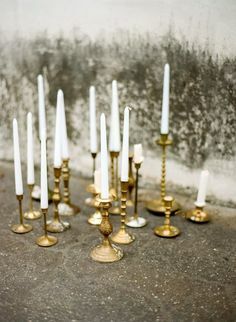 Love these for their spare, rustic quality & patina. 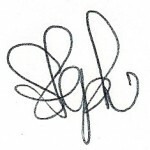 Also always good to introduce another round shape in a space where there aren’t many. 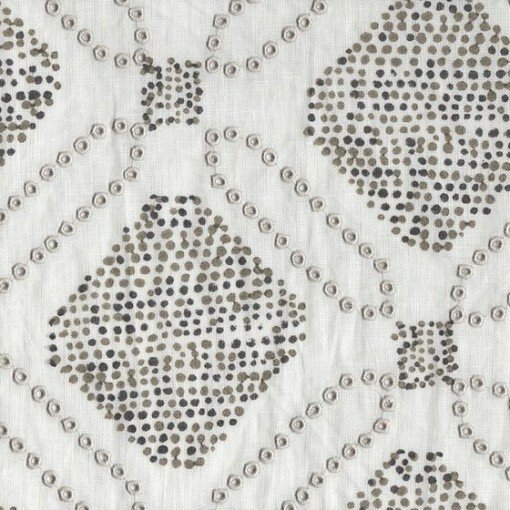 h) Euro Sham Fabric: Seema Krish “Gramercy in Metropolitan Grey”, through Nicky Rising. Part global & part Granny. 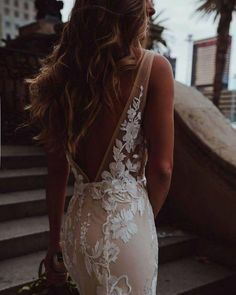 Love the detail in all of Seema’s patterns. 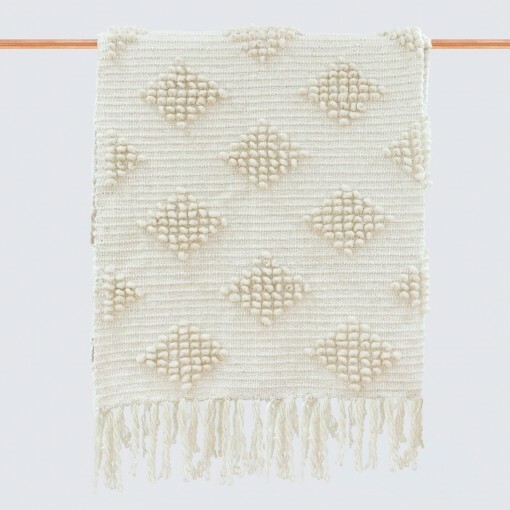 i) Throw: Estrato Oversized Bed Throw / Coverlet. All I ever wanted was a pom pom coverlet to take naps under. 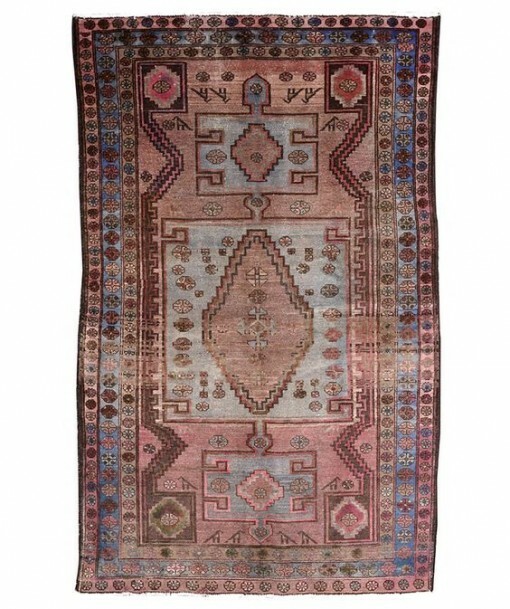 j) Rug: Antique, via Aja Rugs in La Jolla. I’ve had this pinned for awhile but just had to email them for pricing this weekend. These shopowners are great to work with, but this thing is a stunner, so cross your fingers this isn’t four trillion dollars. Published on May 15, 2013 in Design Projects and DIY. 7 Comments Tags: antiquing, calico corners, cestlaviv, designer's attic, ebay, gold spray paint, gold tray, guest room, house beautiful, joss and main, lee jofa, louis dining chairs, newell turner, otomi, rachel halvorson, rugs usa, schumacher hollyhock, shannon darby, Spoonflower, World Market. Otomi Fabric: This was a table runner I got in Cabo San Lucas, Mexico. Cut it in two, backed in linen, made into 2 oblong pillows. 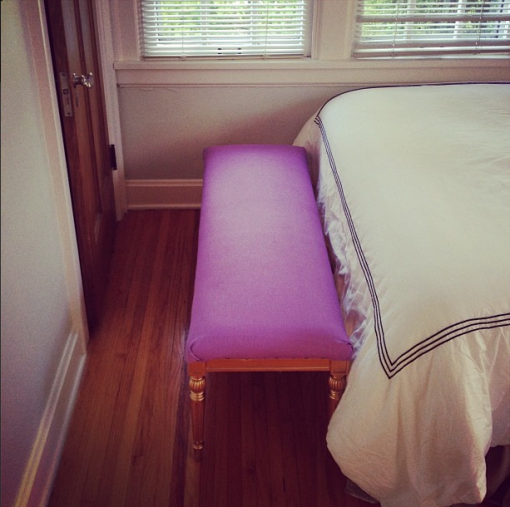 Bench: I reupholstered this guy I’ve had for awhile (reupholstered = staple-gunned). Gold spray paint. 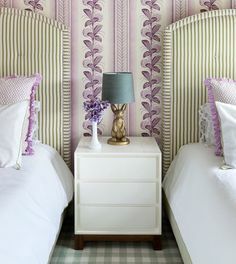 Lilac Fabric from eBay. Duvet from Goodwill, $2. 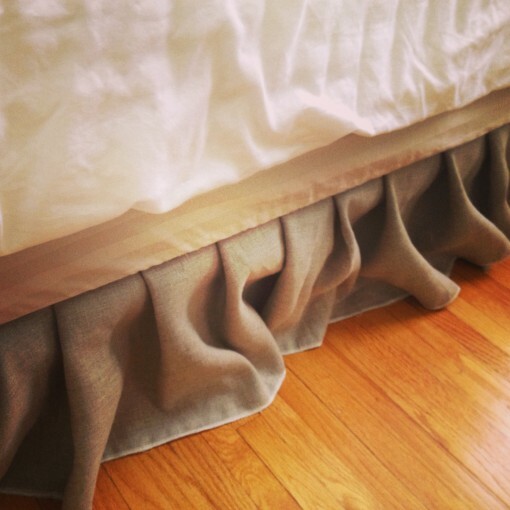 Bedskirt: eBay burlappy-linen I’ve had for years that I just tucked between the box spring and mattress and hand pleated it. Idea via Rachel Halvorson. 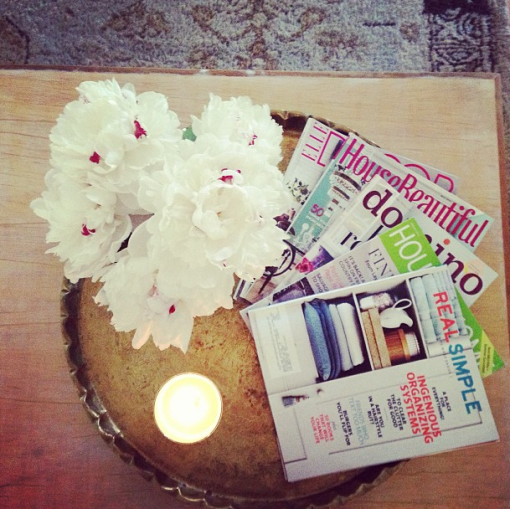 I snagged this sweet gold tray at the Eclectiques Antique Mall for $25 bones in my ‘hood. 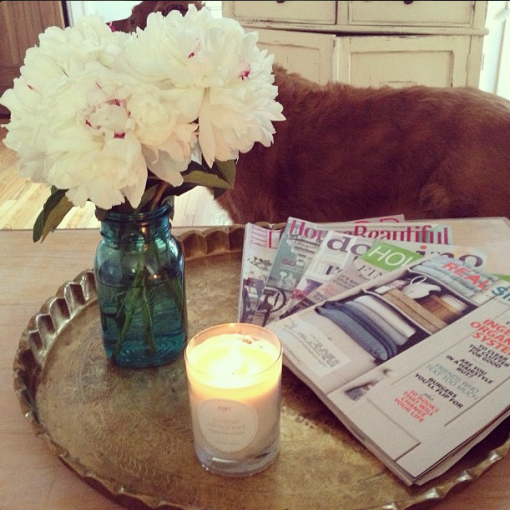 She’s PERFECT with peonies in a Ball Jar and plenty o’literature. PS, look who just haaaad to be in the shot. What up, Gus?! 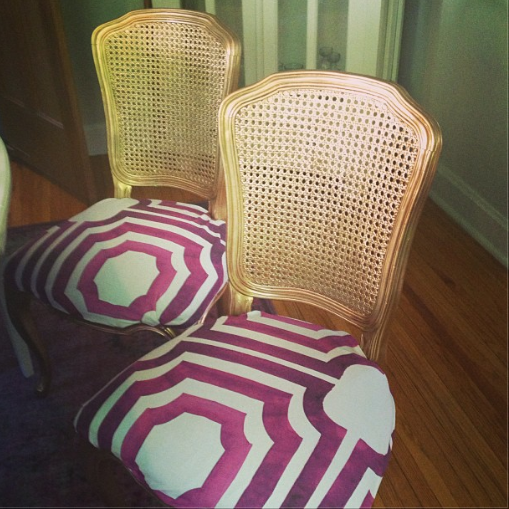 DINING ROOM PILLOWS SEWN… FINALLY. 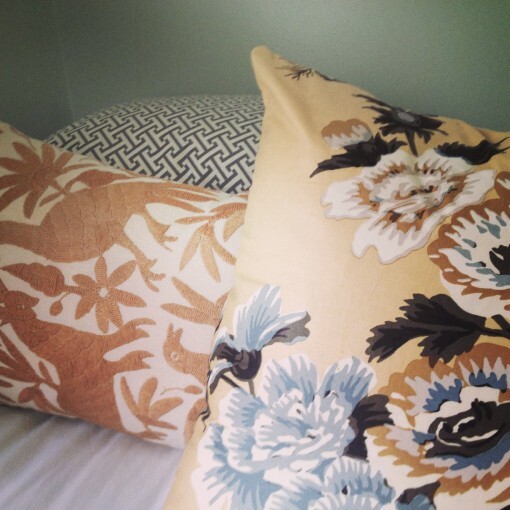 Pillow Fabric: Lee Jofa/Threads, via Shannon Darby at Designer’s Attic. I made (2) 18×18 pillows out of 1 yard for $50. Wanted to use it EVERYWHERE. 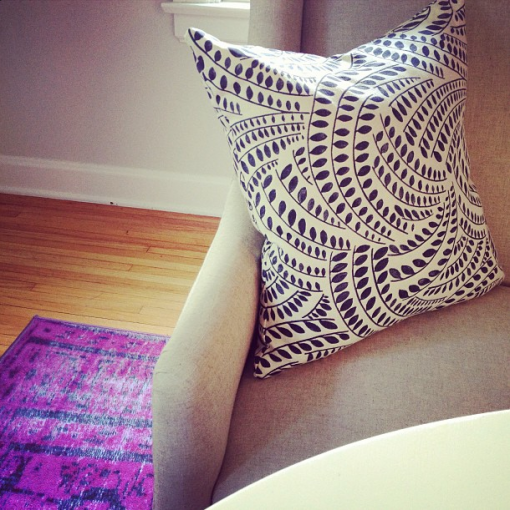 Rug: Rugs USA Windsor Overdyed in Violet. 50% off right now, and also awesome in Turquoise. 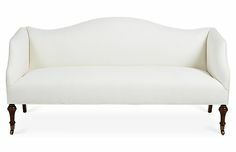 Settee: World Market Hayden Linen Banquette. Got it on super sale a few months back. Wall Color: Benjamin Moore Hushed Hue. It’s a good, pale greige neutral with the faintest, palest hint of green. OUR FIRST BIT OF PRESS, FINALLY FRAMED. IT’S ONLY BEEN 3 YEARS. 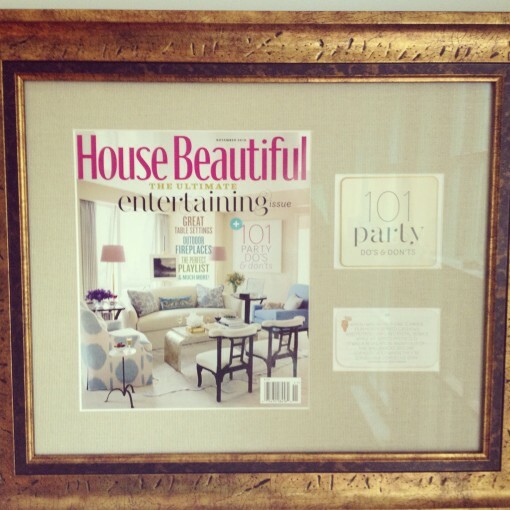 I will never forget the day in 2010 when I got the most gracious email from House Beautiful Editor-in-Chief (and now Hearst Design Group’s Editor-in-Chief) Newell Turner. I don’t think I let out a little pee, I think I let out the whole tank of pee when I saw it in my inbox. He proceeded to say that he’d just spent 45 minutes perusing Covet Living, and thought it was “fresh, fun, and original.” Then I proceeded to ask him to keep us in mind if they had any upcoming features we could contribute to. And so they did (!) 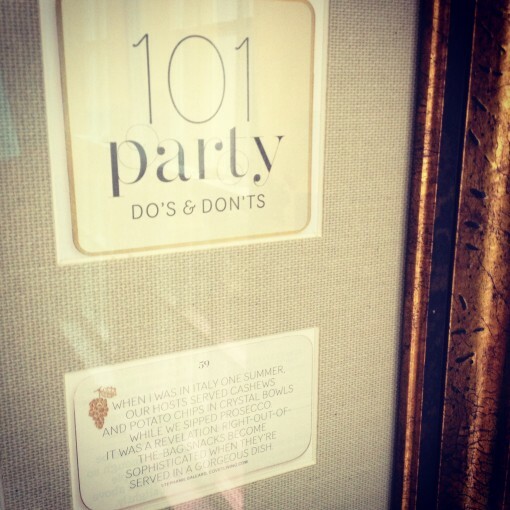 That entertaining spread is MONEY – 101 genius ideas from Celebrity Party Planners like Colin Cowie, Celebrity Designers like Kelly Wearstler & Miles Redd, and then Blogger Muggles, like us perched at Tip #59. I still keep a copy of it in my kitchen cabinet. READ ‘EM ALL HERE. 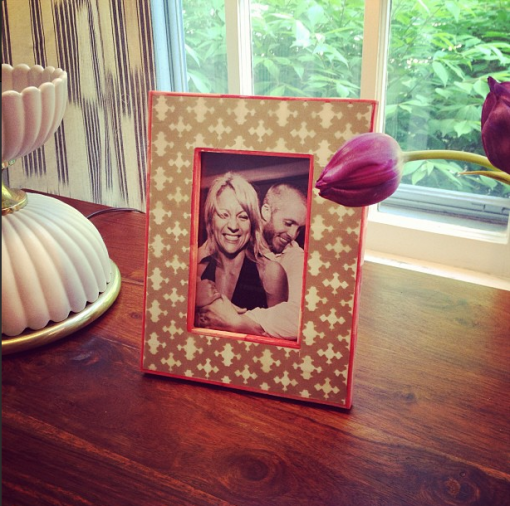 A sweet little addition to the entry table, with the happiest photo ever taken from a wedding last year. Notice our tongues are out in unison. What a coupla nerds! Curtains: I made these out of this fabric I saw on Young House Love. I called the store and scored the rest of the bolt for $9.99/yard. It’s gettin’ there! Hope you guys have a great rest of the week – Happy Hump Day!